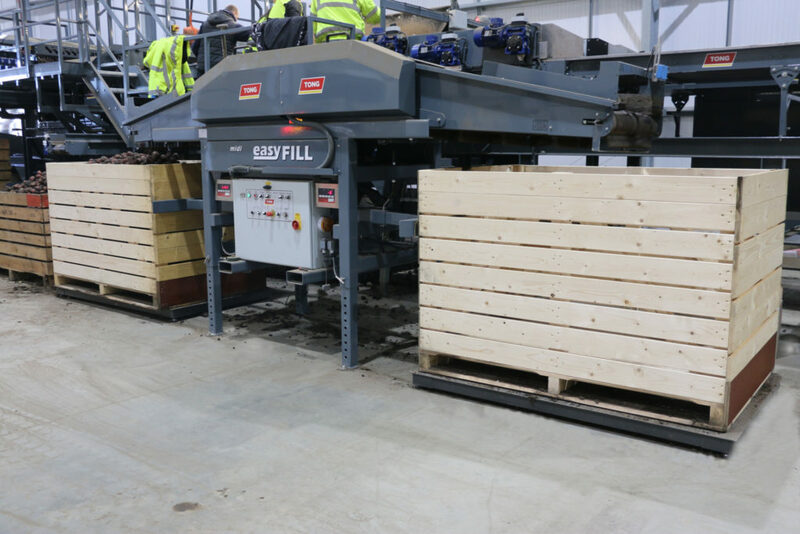 The EasyFill box filler is Tong’s market leading twin box filling machine designed with reliability, ease of use, the gentlest handling and high throughputs in mind. 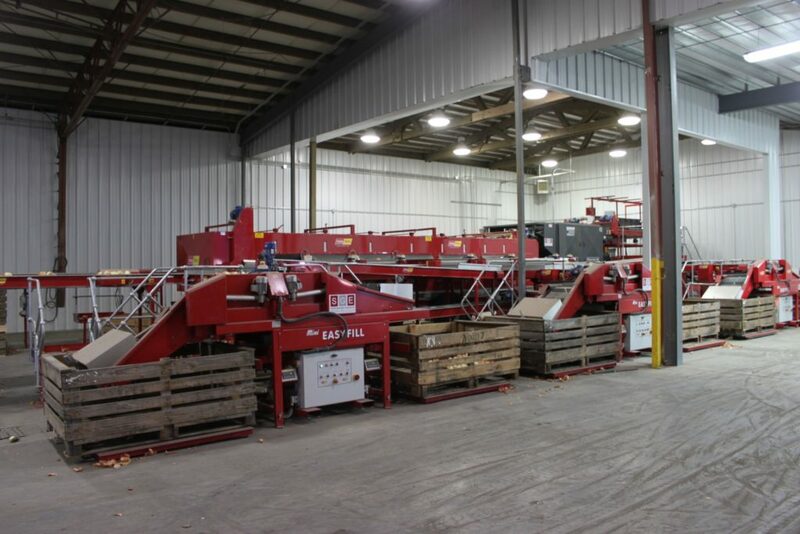 Are you looking for a high throughput twin box filler, which is built to offer reliable performance under the most demanding vegetable box filling situations? 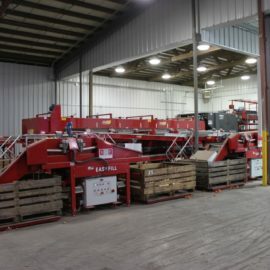 Look no further than the Tong EasyFill box filler. 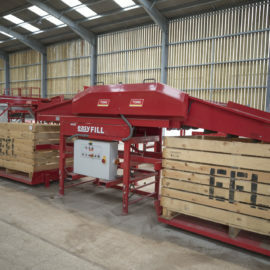 One of the key differences with the EasyFill box filler is the option of its trademark ‘Doorstop’ belt, which offers the gentlest handling of crop. 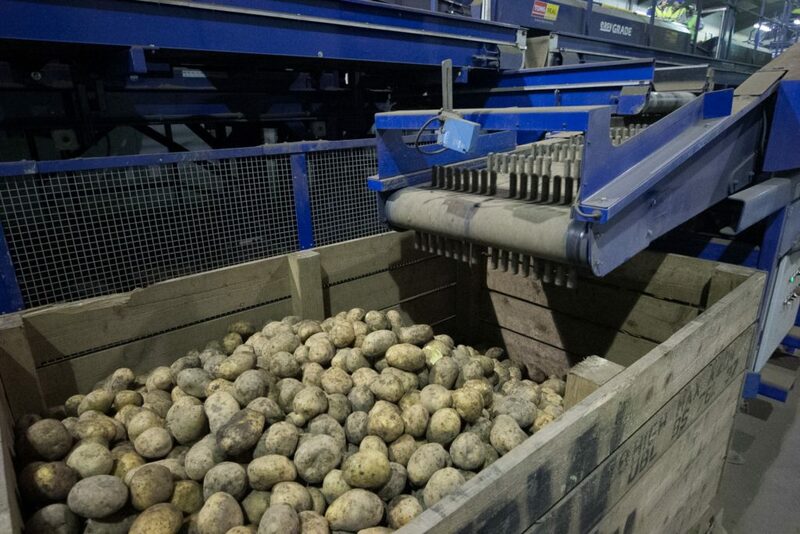 With rubber fingers that gently hold crop, without the need for conventional curtain hoods this offers even greater flexibility in the box filling machine’s application. 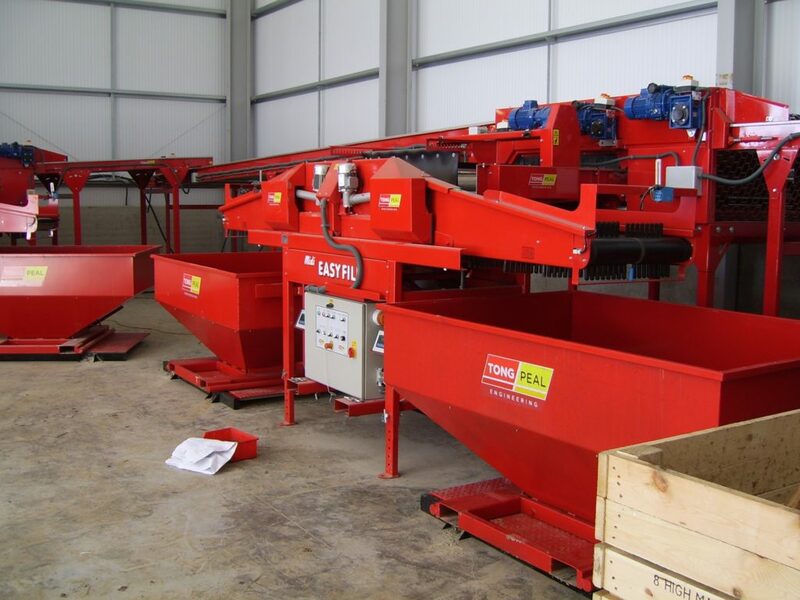 Whilst giving unrivalled crop handling, ensuring crop is gently cradled into the box. 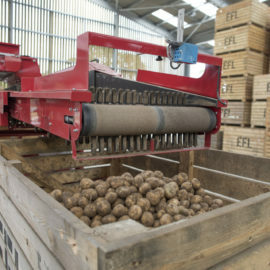 Suitable for use on a wide range of vegetables from potatoes and onions to celeriac and bulbs, the EasyFill box filler can be specified with a conventional heavy duty PVG cleated belt, as well as a crop hood for gentle handling. 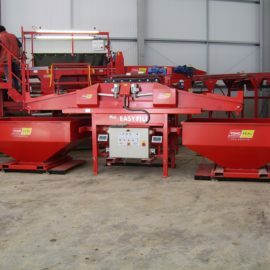 Alternatively, it can be fitted with Tong’s unique Doorstop belt manufactured with one reversible fruit and vegetable conveyor that has lowering ends that traverse to gently deliver crop into boxes. 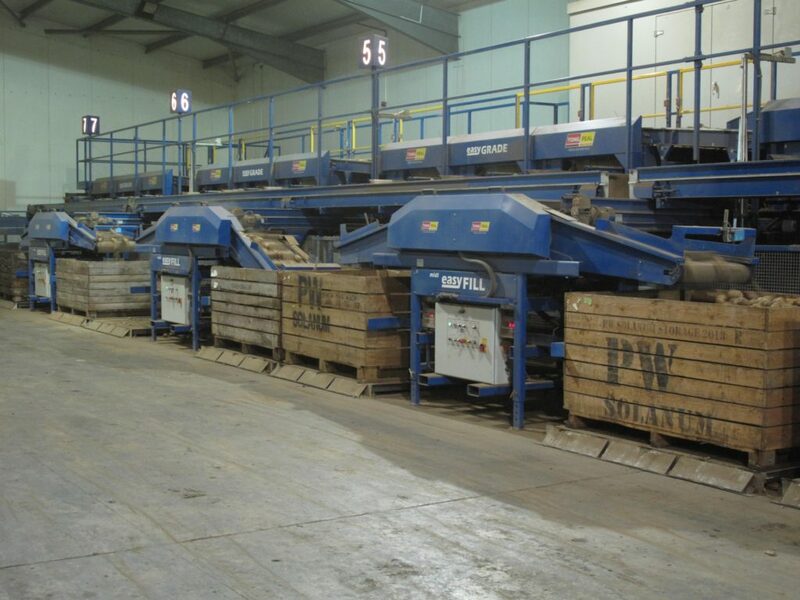 The EasyFill makes the whole box filling process hassle-free, fast and gentle. 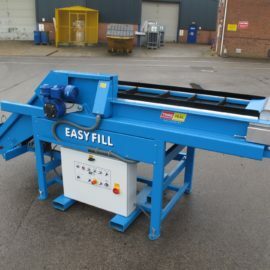 The smallest of the EasyFill range, the Mini EasyFill features one single reversible crop conveyor with lowering end sections, each at 1280mm long, and a 1800mm long centre section. 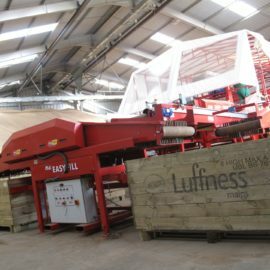 The Mini EasyFillis suitable for filling boxes up to 1050mm high and between 1200mm and 1800mm long. 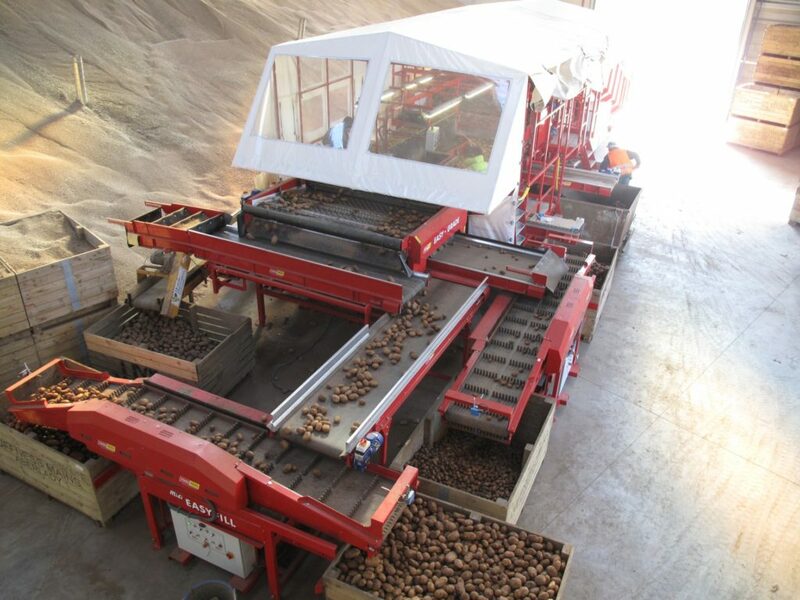 Tong’s best-selling EasyFill, the Midi is best suited to filling standard 1 ton potato/vegetable boxes and features one single reversible crop conveyor with lowering end sections, each at 1580mm long, and a 1800mm long centre section. 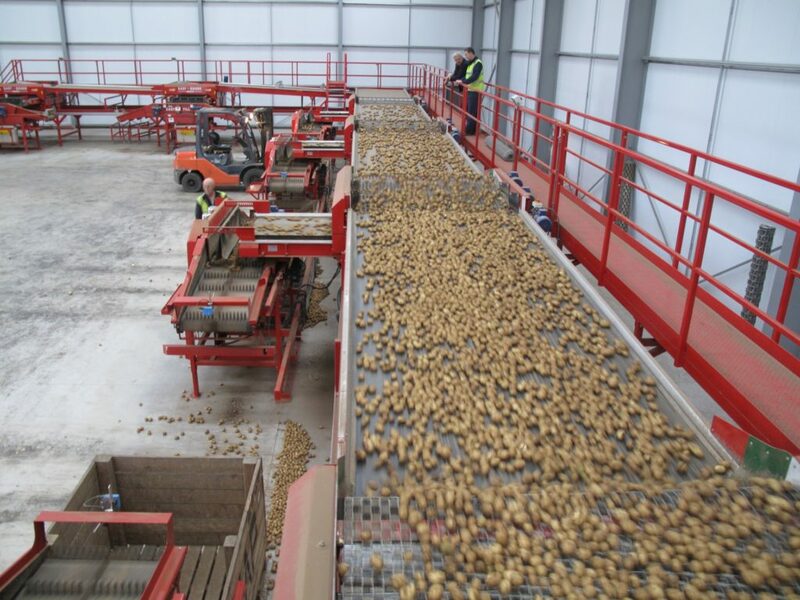 This potato box filler is suitable for filling boxes up to 1200mm high and between 1500mm and 1800mm long. 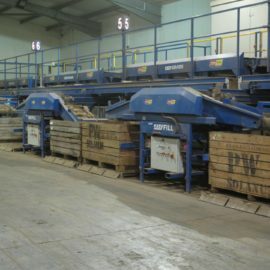 The same as the Midi fill but with a longer centre section, primarily to suit being used directly on the end of a 2.4m wide grading system. 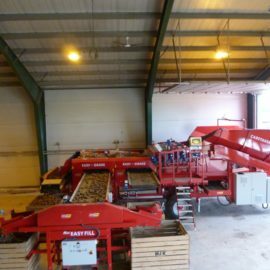 The Maxi EasyFill is also best suited to filling standard 1 ton potato/vegetable boxes and features one single reversible crop conveyor with lowering end sections, each at 1580mm long, and a 2400mm long centre section. 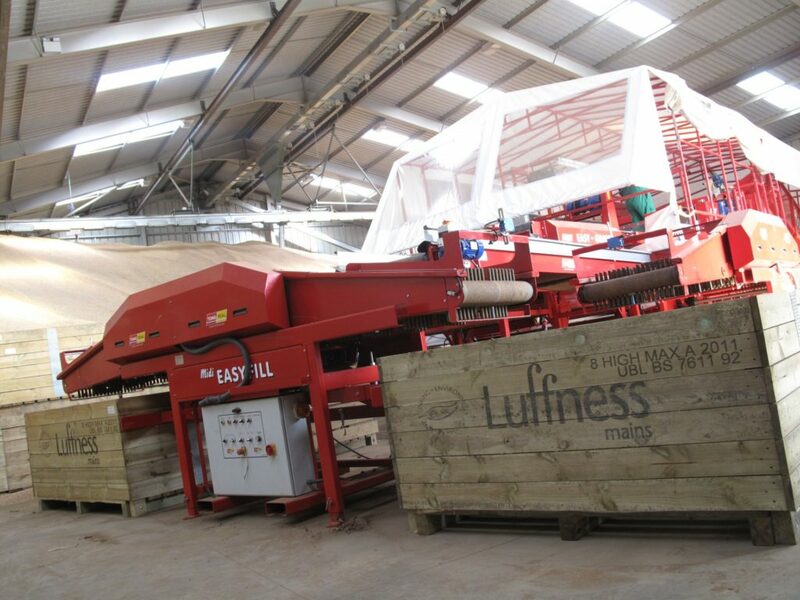 The Maxi EasyFill is suitable for filling boxes up to 1200mm high and between 1600mm and 1800mm long. 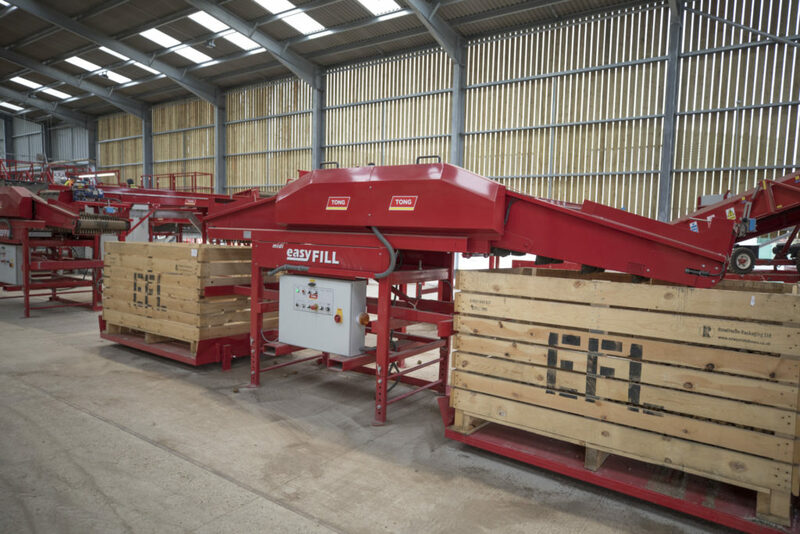 The Mega EasyFill is the biggest box filler in the EasyFill range, suitable for filling larger vegetable boxes and featuring one single reversible crop conveyor with lowering end sections, each at 1875mm long, and a 3m long centre section. 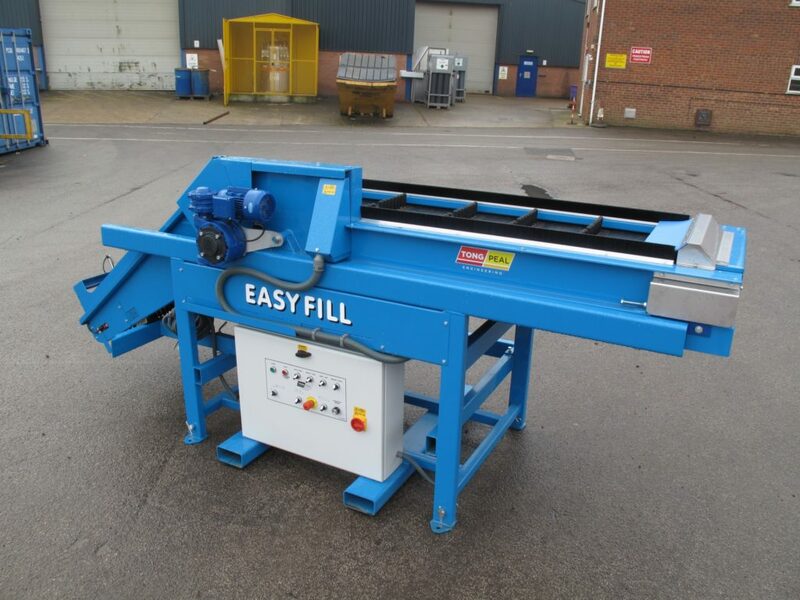 The Mega EasyFill is suitable for filling boxes up to 1200mm high and between 1800mm and 2400mm long. 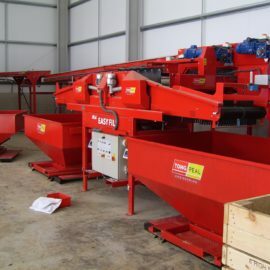 The EasyFill’s trademark ‘Doorstop’ belt sets Tong’s popular twin box filler apart from the rest. 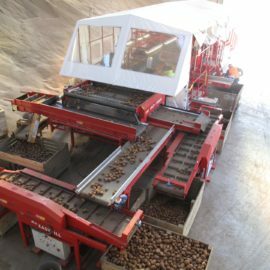 This unique belt offers the gentlest handling of crop, with rubber fingers that gently hold crop without the need for conventional curtain hoods. 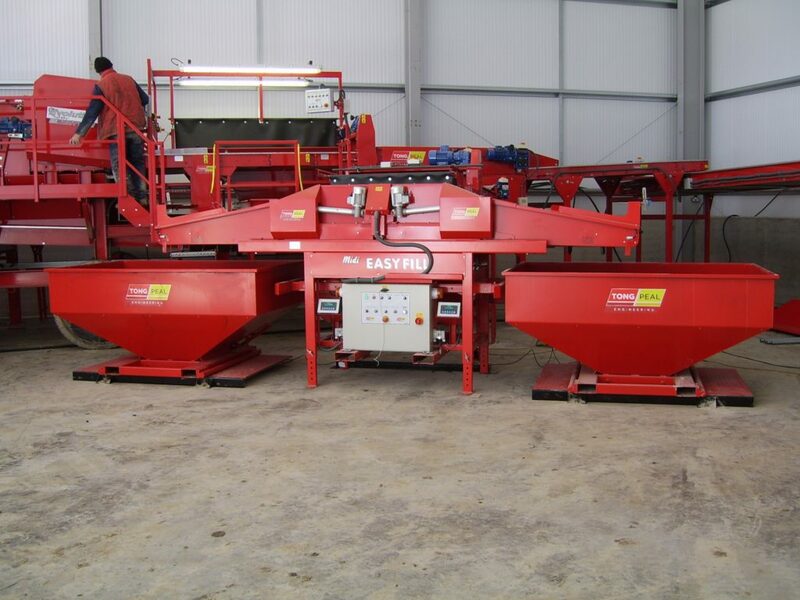 This offers even greater flexibility in the box filling machine’s application, whilst giving unrivalled crop handling, ensuring crop is gently cradled into the box. 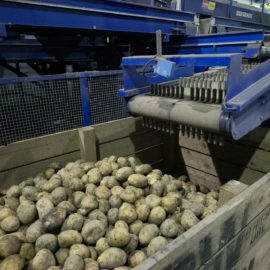 Featuring fully automatic, microprocessor control via crop-sensing probes, the EasyFill offers effective, gentle and even filling boxes at the touch of a button. 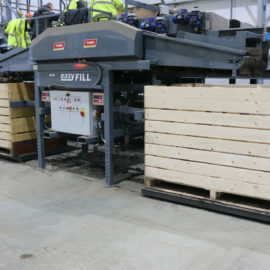 The EasyFill also automatically detects when I box is in position and ready for filling, ensuring minimal stoppage time for box changes, for a smoother, continuous, high throughput filling solution. 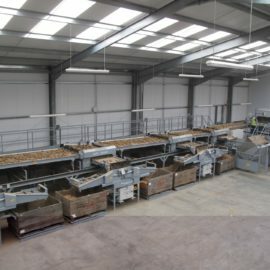 All Tong box fillers are now manufactured with linear actuators controlling lowerators to reduce maintenance & improve efficiency. 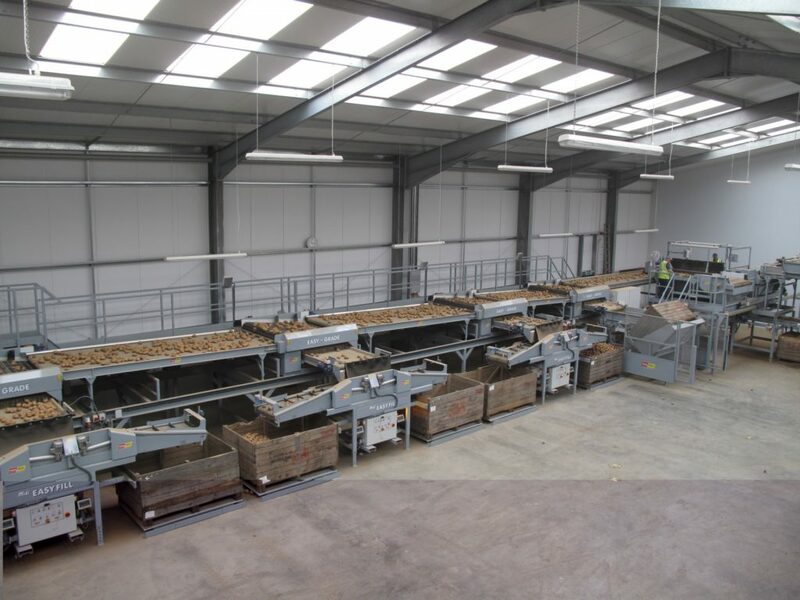 Designed with ease of use in mind, all Tong box fillers feature easy to use pictoral controls making operation evener easier. 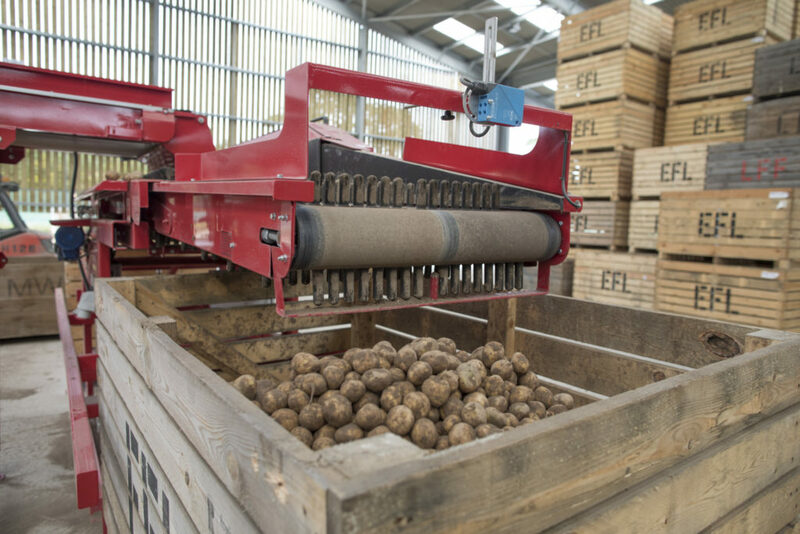 The EasyFill’s trademark ‘Doorstop’ belt sets Tong’s market leading twin box filler apart from the rest with rubber fingers to gently cradle crop into the box. 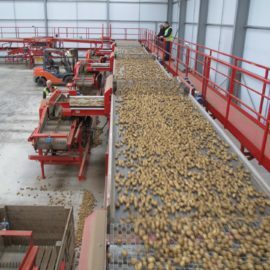 The EasyFill is manufactured in four standard models to accommodate all box sizes from 1050mm to 1200mm high and 1200mm to 2400mm long. 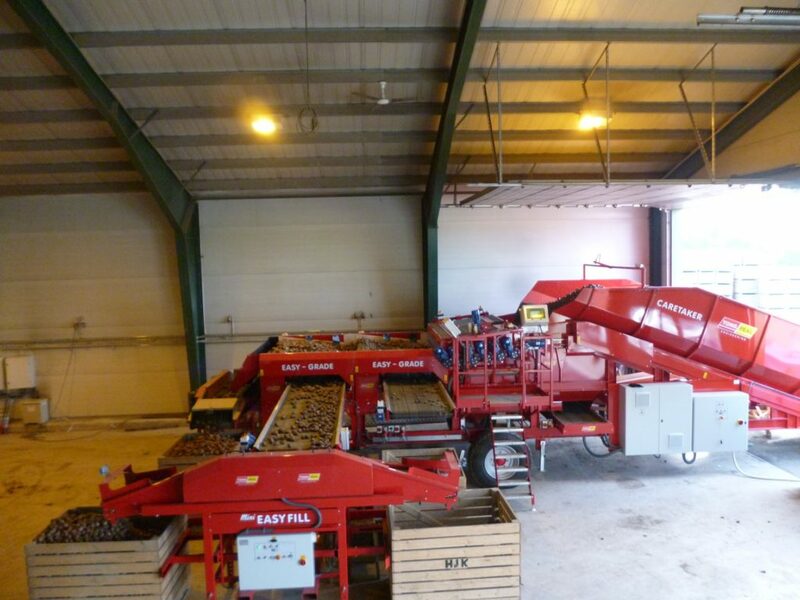 The EasyFill box filling range offers gentle yet high throughput box filling to suit all requirements, with outputs ranging from 30 to 60 tonnes per hour, depending on crop type.